Remaco Projector Spider bracket PSB-10 fits almost any LCD/DPL projector on the market. Reliable security, adjustable bracket arm and mounting spacer, makes your projector unobtrusive while making the image more visible to the audience. 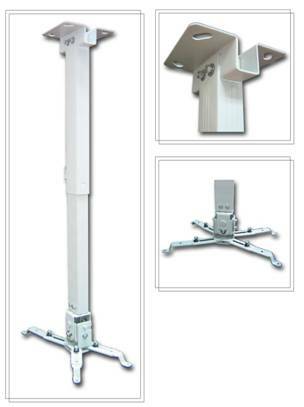 In addition to the mounting methods, you may use threaded rods and PSB-Ext mount for extension.